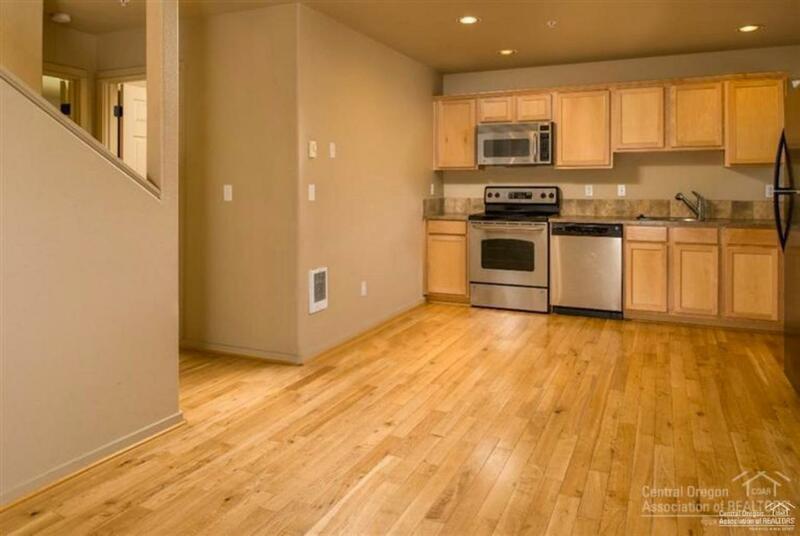 Westside condo near COCC with large MAIN LEVEL MASTER. Great Room with vaulted ceiling and wood floors. 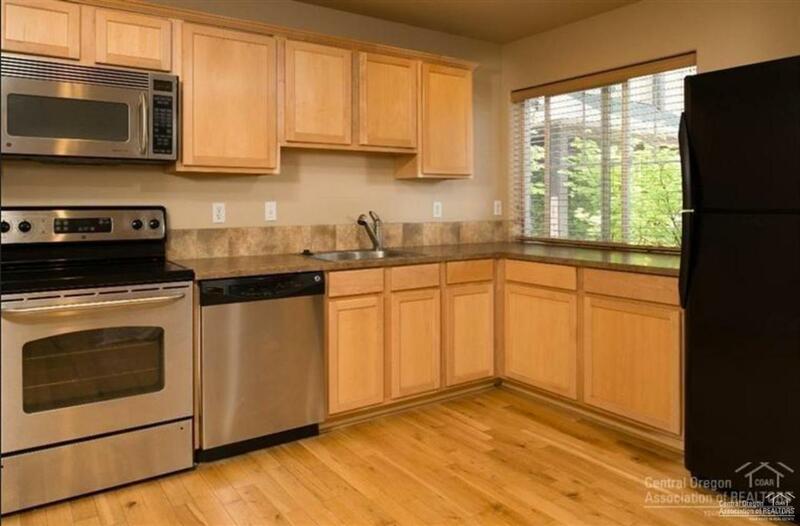 Open kitchen with stainless steel appliances. 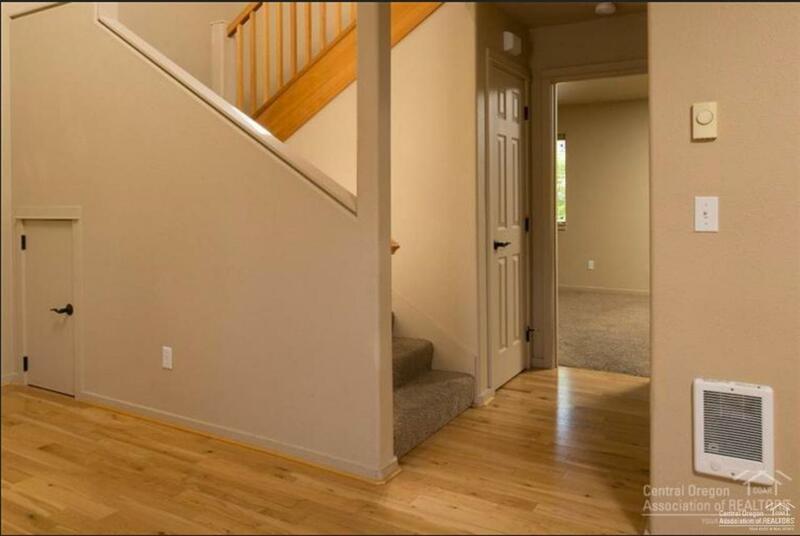 Two bedrooms and loft upstairs. 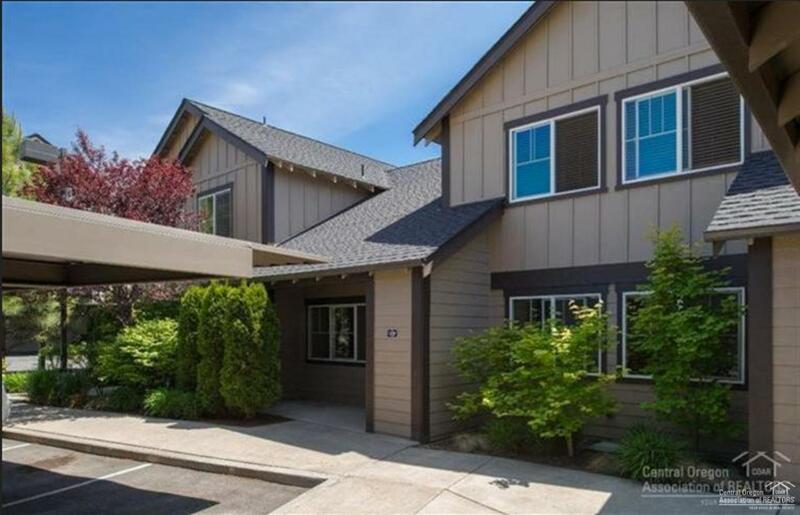 1 deeded covered parking space, patio storage, and under stair storage. HOA covers fitness room, sewer/water, exterior maintenance, snow removal, landscaping and master insurance. Near downtown and Newport Market!